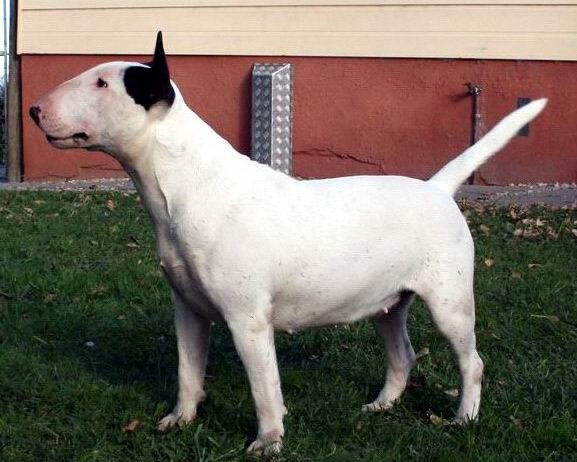 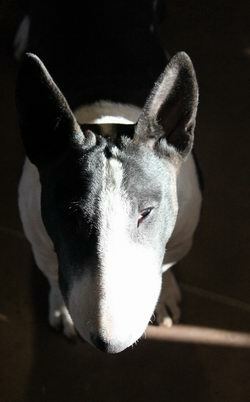 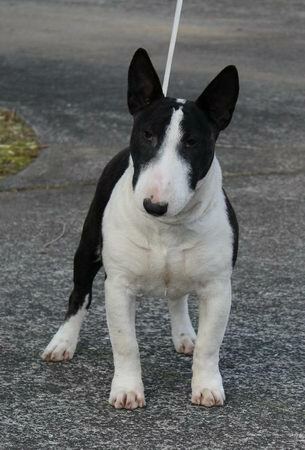 'Inca' is a Miniature Bull Terrier. 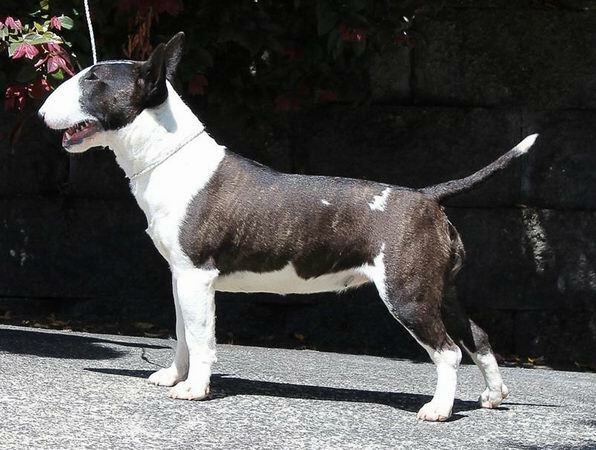 She lives at Boromir and is a true pocket rocket and is the correct height. 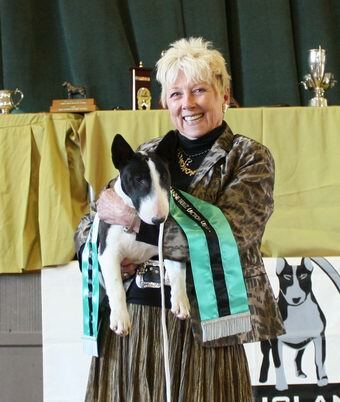 She had a flying start to her show career with a Specialty reserve best in show by 4 months old and qualifying for her ROM at 11 months old! PLL clear by DNA.